Drama School Audition Season is fast approaching and once again Giants are offering you the chance to get ahead of the game at our hugely popular Audition Clinic. Giants’ Associate Artist Helen Strange will lead the weekend workshop, aimed at people auditioning for drama school and actors looking to brush up on their audition technique. Former head of Classical Text at RADA, Helen has a wealth of experience of working with actors over several decades as a Director, Voice Coach and Acting Tutor. Focussing on your Shakespeare monologue – Together, we will explore the language, rhythm and meaning of your Shakespeare monologue before performing each one in front of the group. The focus of this second workshop will be on finding the truth and sparkle in your contemporary monologue. After working together on developing character and spontaneity, you will perform your monologue in front of the group and be given specific feedback on your performance. Throughout the course of the two days, Helen will give detailed direction to help ensure you give your best possible performance when you step in to the audition room. 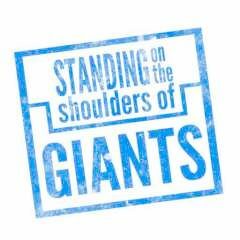 Giants works collaboratively, so there will also be opportunities to learn from the coaching of others in the group.